Since 2014, we have worked with José Expedito de Moura and the non-profit organization Tor zur Hoffnung e.V. 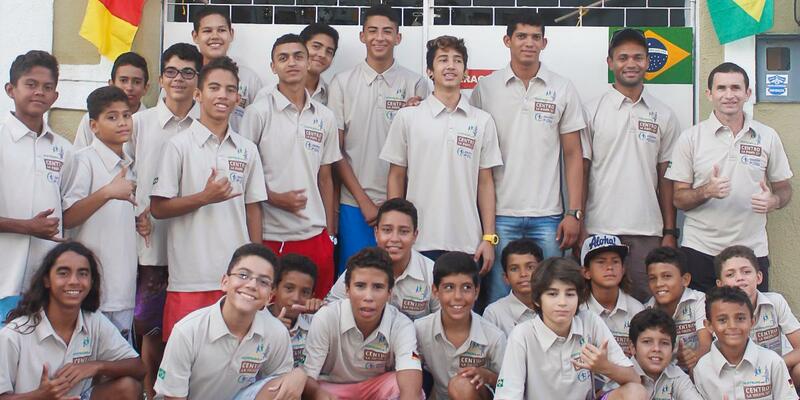 to open up new perspectives for children from the Graviola favela in Fortaleza. There the children are instilled with a sense of teamwork, respect, diligence and reliability. At first glance, Fortaleza in northeastern Brazil is a dream come true of sun, beach and sea. However, behind the boardwalks and boulevards the reality is very different: poverty, domestic violence and drugs are rampant. That's why we worked to build our own youth center, and in 2015 we launched the CENTRO LA SIESTA. The youth center is funded by LA SIESTA and operated by Dito. "Every minute a child is with us is a minute he does not spend on the street." 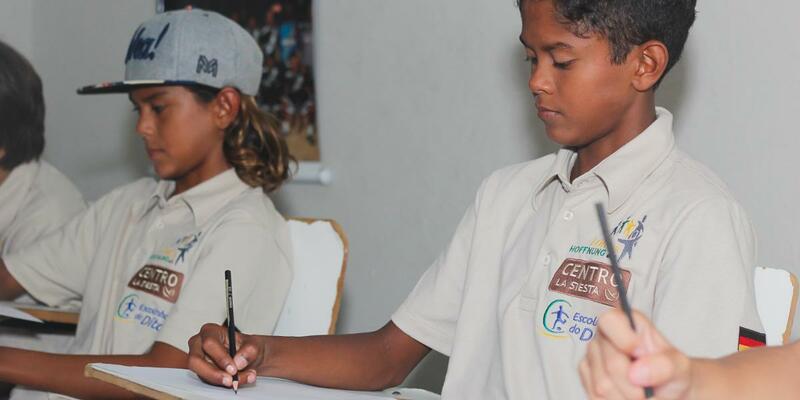 The CENTRO LA SIESTA is based on the three pillars of sport, culture, and education and is currently helping 85 children between the ages of 5-18 to get a better start in life. 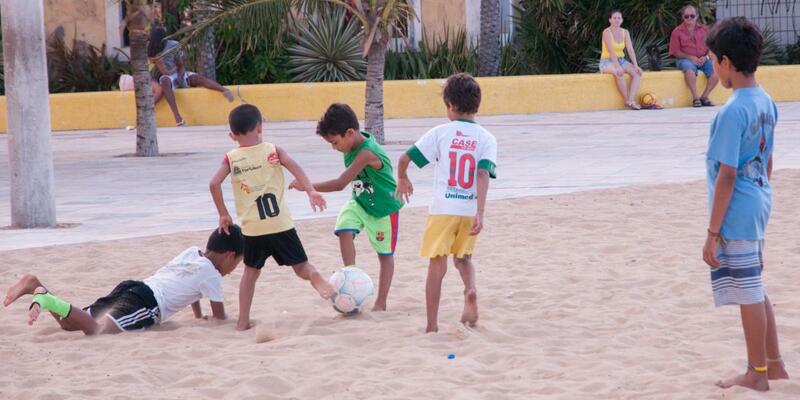 Dito teaches children and teenagers beach soccer and beach volleyball nightly at Praia de Iracema, a central beach promenade. In addition to the proper handling of the ball, the team sport teaches important values such as fairness, respect and team spirit. In addition, activities such as board games or painting and drawing lessons are offered. This means that even less enthusiastic athletes can pursue meaningful, creative occupations and discover their talents. With the gradual expansion of the CENTRO LA SIESTA further creative programs are underway. Registered students receive extracurricular support at the CENTRO LA SIESTA. In addition to providing help with homework, a small library is available. If necessary, the children are supplied with exercise books, pens and such school supplies. Any & All Help is Welcomed! At the non-profit organization Tor zur Hoffnung e.V. and LA SIESTA, we see ourselves as long-term friends, partners, and supporters of Dito's life's work. Website for "Tor zur Hoffnung e.V." 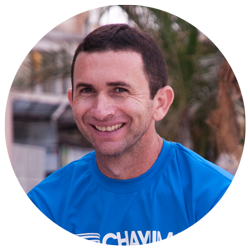 Former beach soccer player José Expedito de Moura, "Dito" for short, is a trained physical education teacher and has been teaching children from the slums of Fortaleza since 2003 in his free time. From a humble background, he has found his vocation through football and wants to give young people values and knowledge that enable them to go their own way. For the children from the Graviola favela, Dito is more than a social worker and football coach: he is a friend, mentor and a positive role model, providing them with orientation and perspectives.